Ciara was the hostess with the mostest at the Billboard Women In Music Awards in Los Angeles on Thursday night. 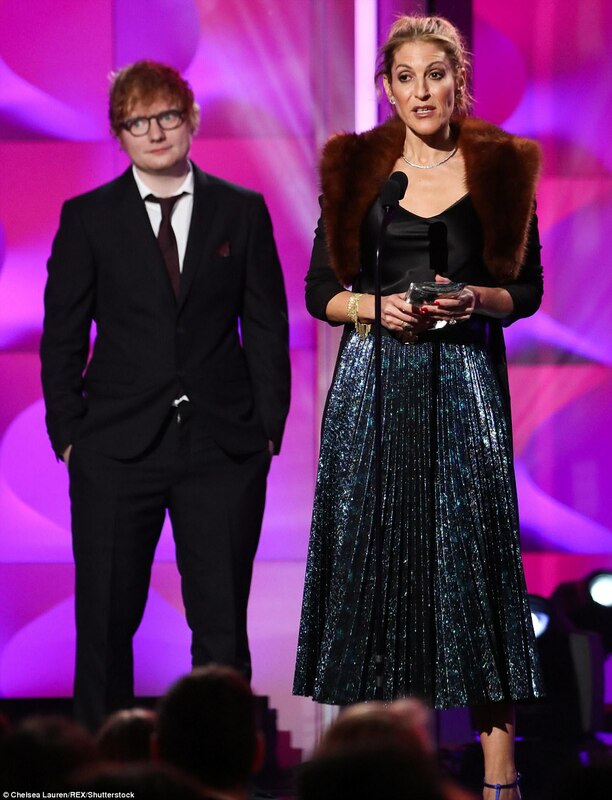 The 32-year-old singer presented the awards ceremony from the Ray Dolby Ballroom at the Loews Hollywood Hotel in a stunning outfit. She was joined by fellow celebs Taraji P Henson and Mary J Blige, who all opted to show some skin in revealing attire at the star-packed event. Ciara donned an off-the-shoulder white gown. which displayed her decolletage with a daringly low-cut neckline and half-length sleeves. The dramatic design also featured a long white train, though the beauty put an edgy spin on things with an on-trend vinyl black miniskirt. The 1, 2 Step hitmaker completed her outfit with black open-toed heels and had her dark hair styled into a bouffant high ponytail. Upping the glamour, the mother-of-two made sure to add some bling to her ensemble and accessorized with sparkling earrings and several rings. Selena Gomez, 25 , rocked a revealing all-black attire as she was honored with the coveted Woman Of The Year award. The singer sported a sleeveless black bustier with low scalloped neckline along with black leather trousers with leg slits by Versace. Serena finished her ensemble with black open-toed heels and had her blonde hair up. She teamed up at the event with her best friend and kidney donor Francia Raisa. 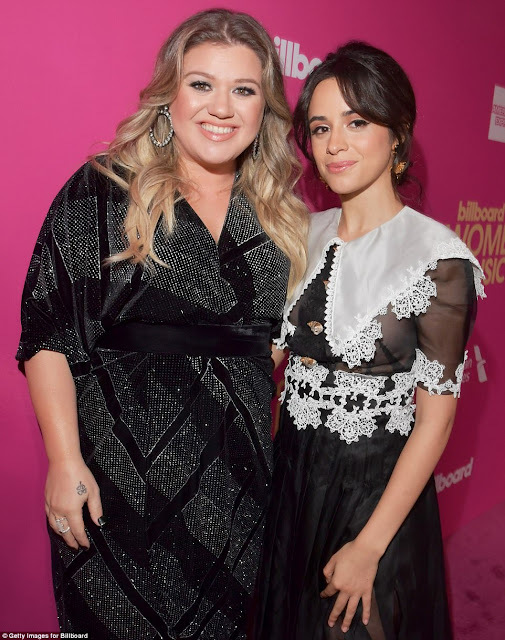 Camila Cabello, 20, also got together at the event with American Idol winner Kelly Clarkson, 35. The Havana singer wore a long short-sleeved Dolce & Gabbana black dress with white lace trim. 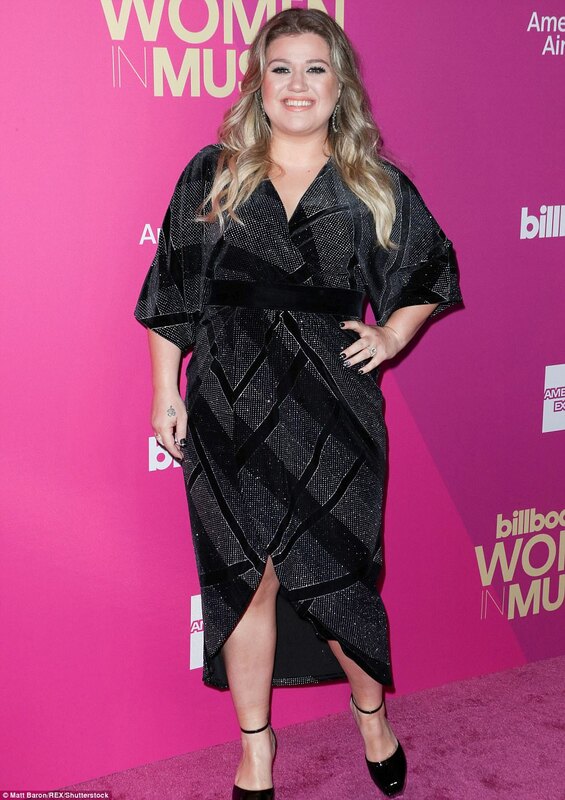 She completed her outfit with black ankle boots and accessorized with dangling earrings. 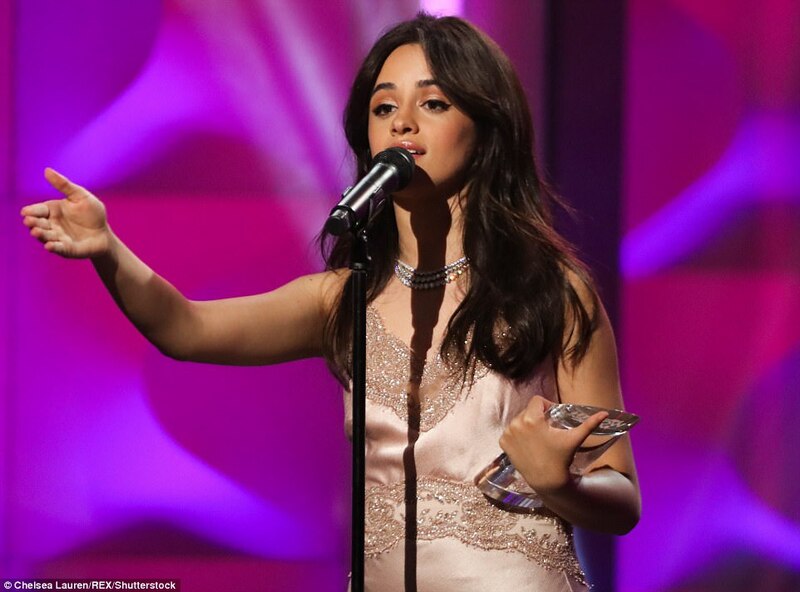 Camila was honored at the awards ceremony with the Breakthrough award. 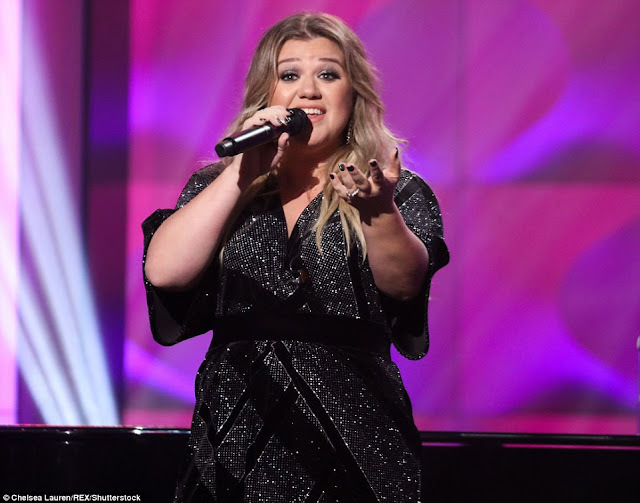 Kelly meanwhile was honored with the Powerhouse award. 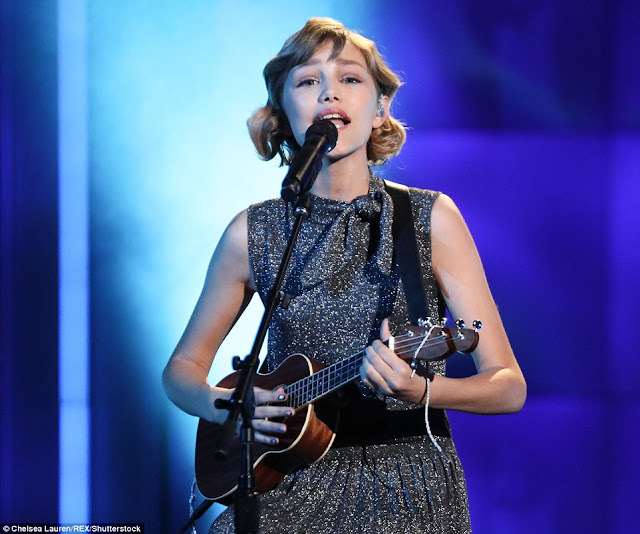 Grace VanderWaal, 13, who won America's Got Talent was introduced by show judge Heidi Klum, 44. The teenager sang a song from her newly released album Just The Teenager before accepting the Rising Star Award. 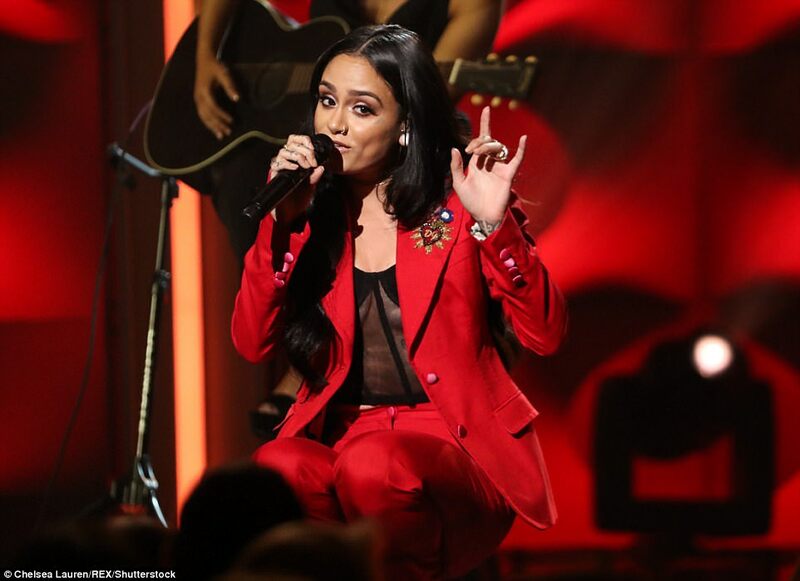 Kehlani, 22, stood out in a silver dress with plunging neckline and high straight shoulders. 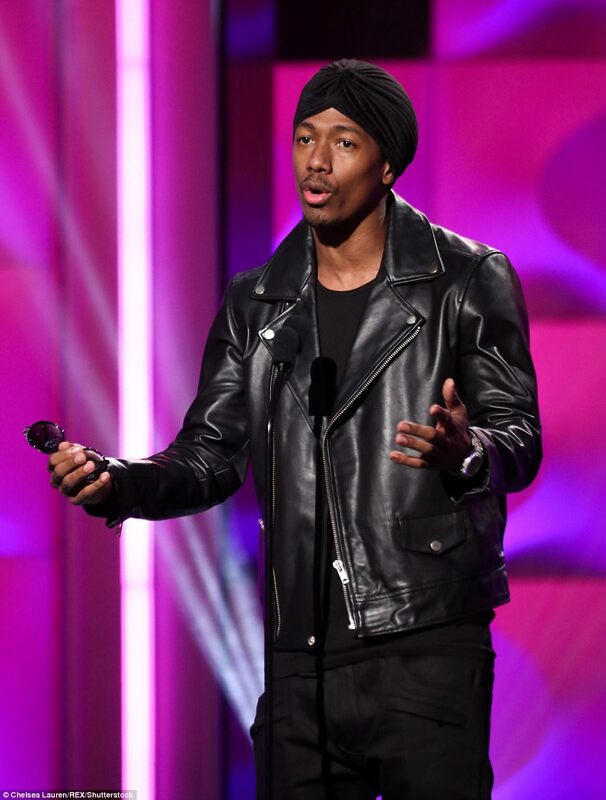 The Oakland, California singer also performed before accepting the Rulebreaker Award. Sabrina Carpenter and Chelsea Lauren also were in attendance. Sydney Sierota was right in stripes along with black trousers. 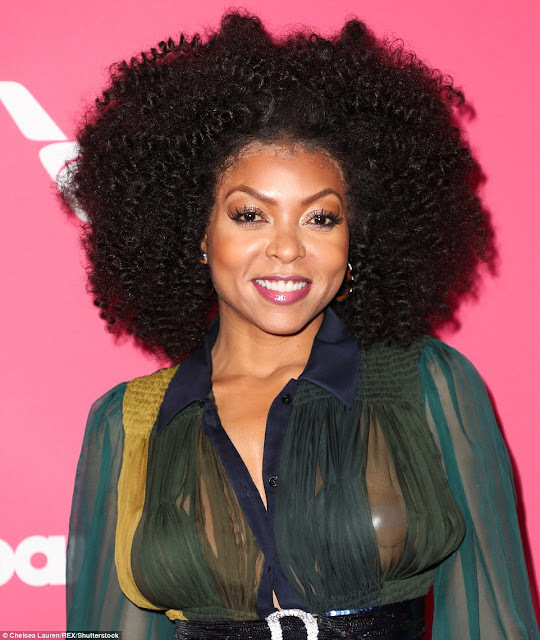 Empire star Taraji P. Henson hit the right note in a long green gown with thick black belt. Elle Faning, 19, wore a short black and silver dress as she announced that her friend Selena was the winner of the Woman Of The Year Award. Francia took to the stage after recently donating her kidney to Selena and said she was 'honored' to help the singer. 'Neither of us went to prom, but this seems like a pretty good substitute and this award is way better than winning prom queen,' Francia said as she presented Selena with the top honor. Selena got emotional during her acceptance speech after acknowledging that Francia saved her life. 'I want people to know that I respect the platform that I have so deeply,' she said. She also thanked her support team for helping her through a difficult year. 'I don't know how I'll ever repay it, but maybe I'll make an epic album next year,' Selena added. Mary J. Blige, 46, also was honored with the Icon Award at the awards ceremony. Taraji presented her with the top honor.